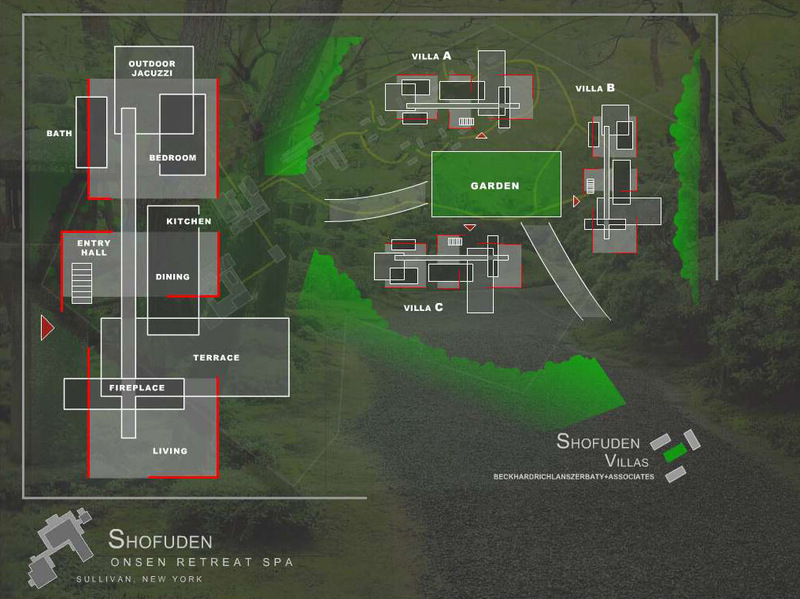 Sho-fu-den located in up-state New York is a replica of the Imperial Palace in Kyoto built for the 1904 World’s Fair in St. Louis. 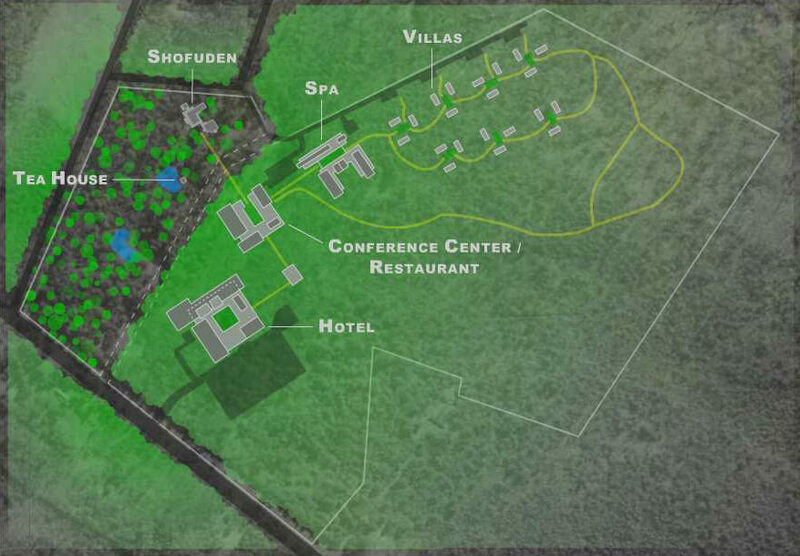 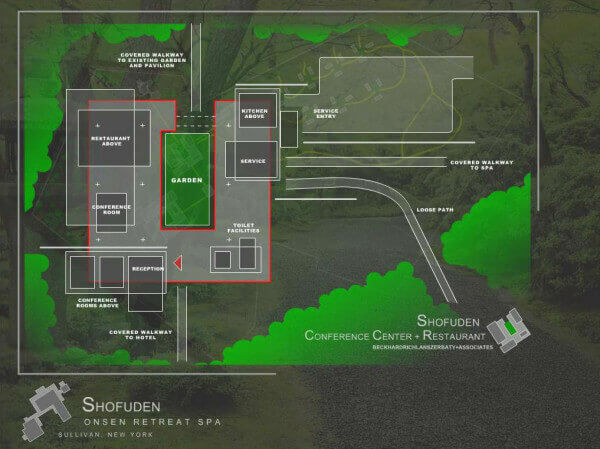 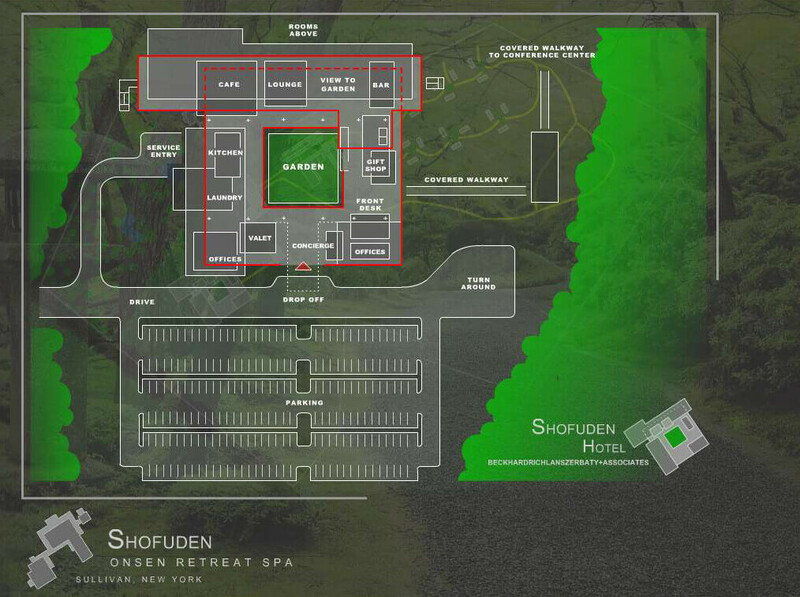 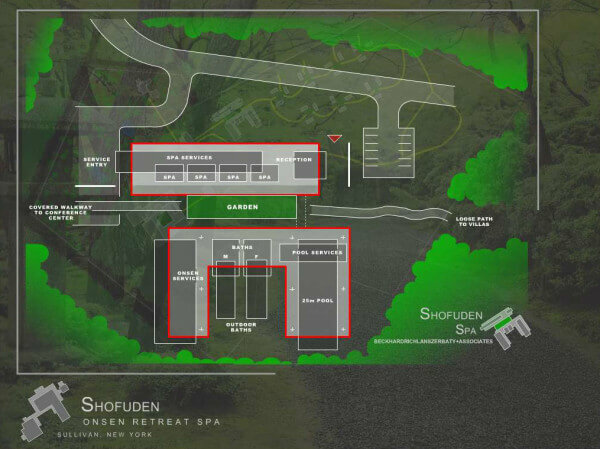 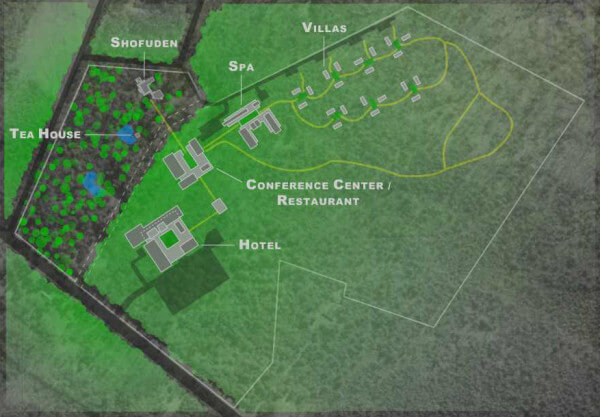 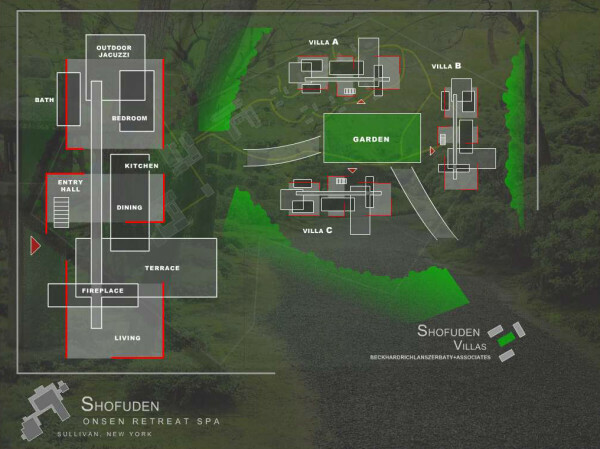 The proposed plan is to locate an onsen retreat spa on the adjacent site including a hotel, restaurant, conference center and a cluster of villas. 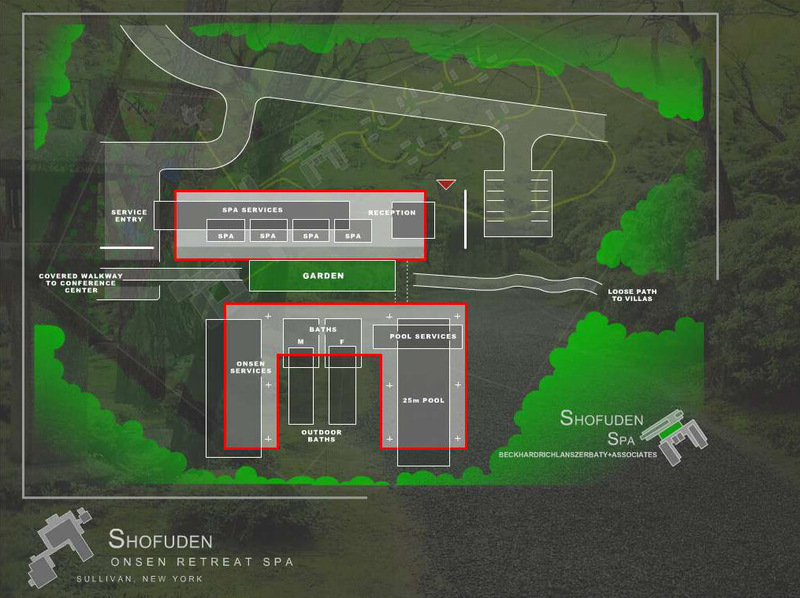 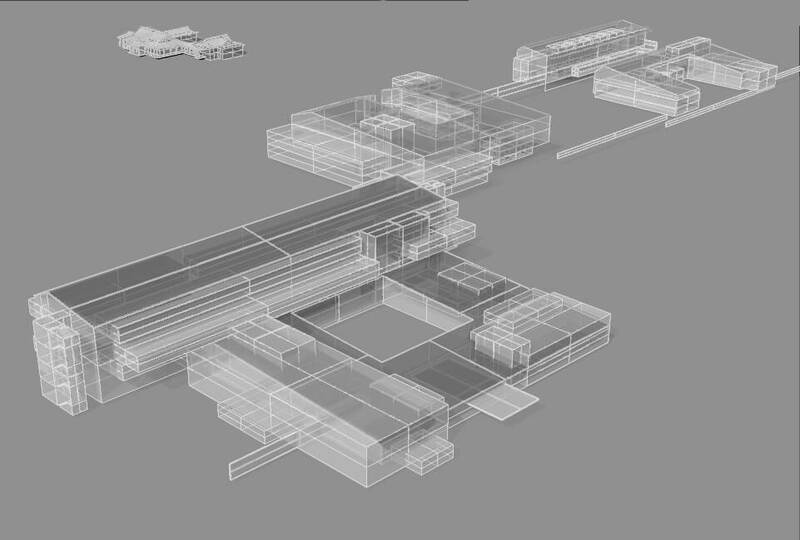 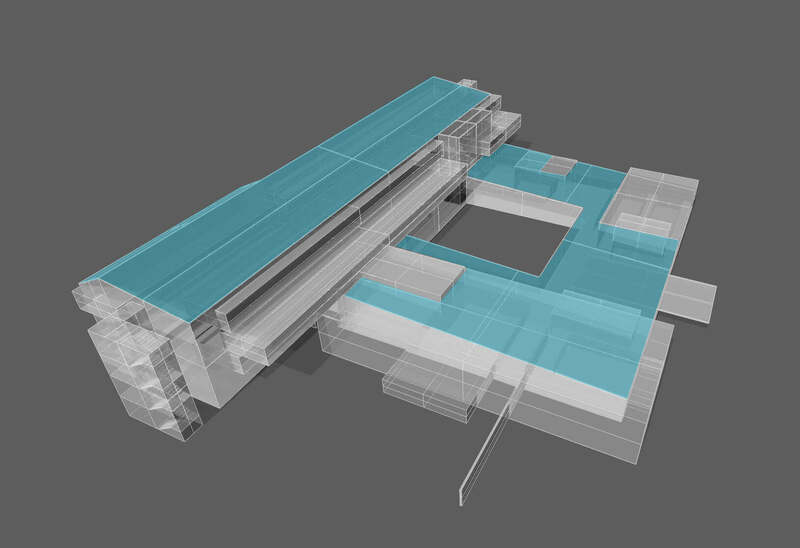 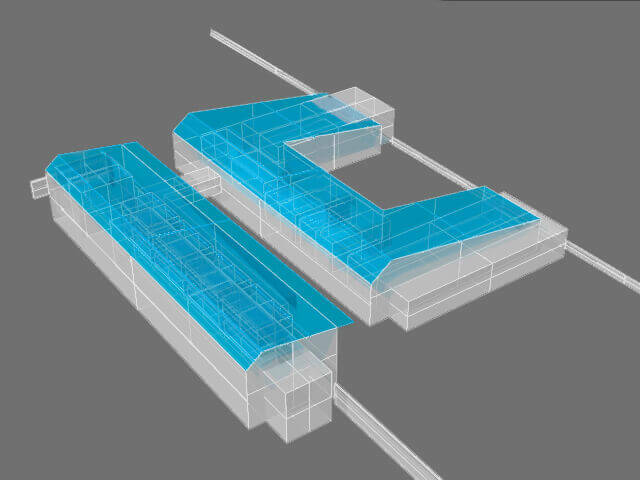 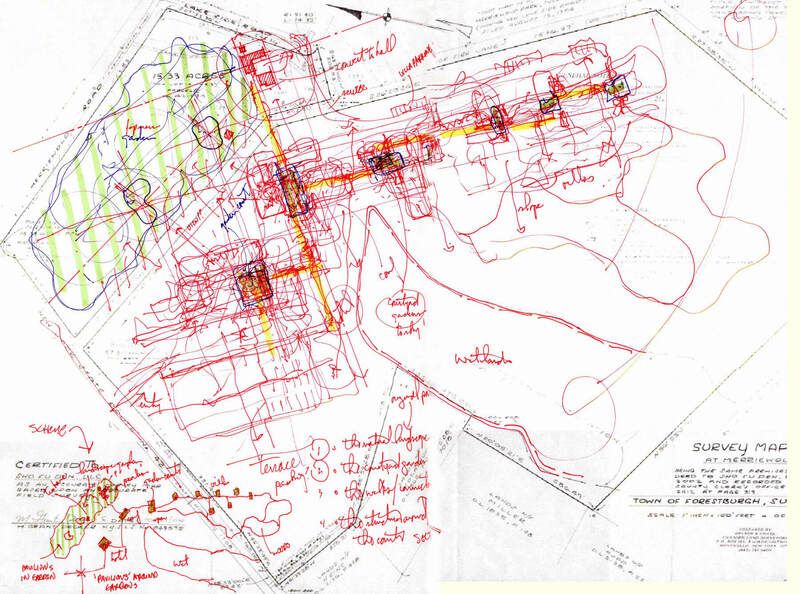 MDSA developed a concept design for the site and each of the buildings.